The touch of citrus adds a delightful zing to the berries. 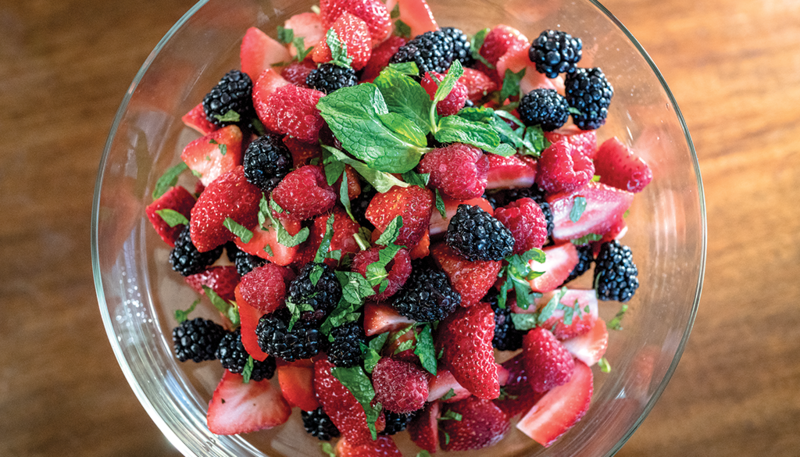 Try this served over ice cream or angel food cake for a light springtime dessert. Note: 2 tablespoons Limoncello may be substituted for the syrup – delicious! Combine all ingredients in a medium bowl and toss.